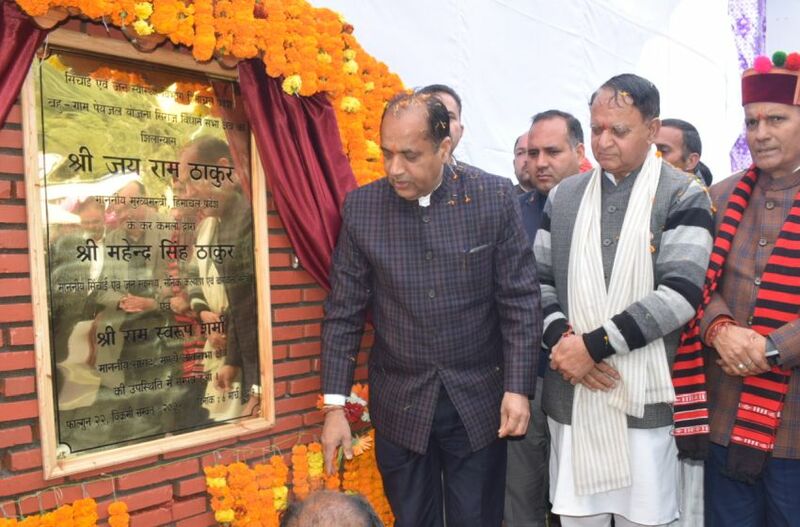 Chief Minister Jai Ram Thakur today laid foundation stone of biggest water supply scheme of the State for Seraj and Gohar Blocks to be completed at a cost of Rs. 215 crore at Lambathach in Seraj Vidhan Sabha of Mandi district. This water supply scheme would provide drinking water facilities to thousands of people of 33 Panchayats out of total 58 Panchayats of Seraj Assembly constituency. The Chief Minister said that under this ambitious mega scheme, over 1100 km water pipelines would be laid and over 7800 additional households would be provided taped water. On completion, this scheme would benefit 163 villages and 1135 habitations. 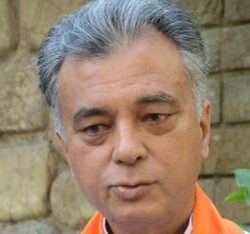 He said that water would be lifted from Chhari, Bakhli, Chhatri and Thanesar Khuds (rivulets) for this scheme. He said that each and every area of the State has been given due preference in matter of development. The foundation stones and inaugurations of developmental projects worth crores of rupees have been laid in every constituency of the State during the last one year. 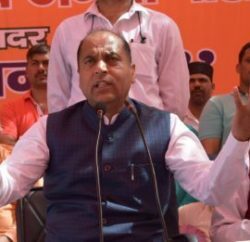 Jai Ram Thakur said that the State Government has maintained cordial relations with its employees who were helping the State to forge on path of development with their whole hearted efforts. He said while taking humanitarian view of the PTA teachers, the state government has enhanced their salary at par with the regular teachers. This has provided much needed relief to them like different other categories of employees and efforts would be made to provide relief to left out categories of employees. The Chief Minister said that the present state government was providing a responsive, transparent and accountable administration to the people of the State. The effective coordination between the Centre and the State governments has given boost to the development of the State. Earlier, the Chief Minister laid foundation stones of flow irrigation scheme of Sunah Batahr Cluster Janjehli Development Block under HP Horticulture Development Project to be completed by spending Rs. 1.33 crore and additional accommodation for Government Senior Secondary School Nihari Sunah to be constructed by spending Rs. 3.76 crore. He also laid foundation stone of Rural livelihood Center Seraj at Bijahi in Gram Panchayat Kanda to be completed by spending an amount of Rs 7.50 and inaugurated Chharri bridge on Bakhali Khud completed by spending Rs. 1.56 crore. Jai Ram Thakur announced opening of IPH Inspection Hut at Lambathach and Silk Seed Production Centre at Thunag.